Much is already known about brain functioning during learning processes to orient the practice of teaching. The brain and learning are the bridge that teachers can and must cross with knowledge that effectively connects them to learners. 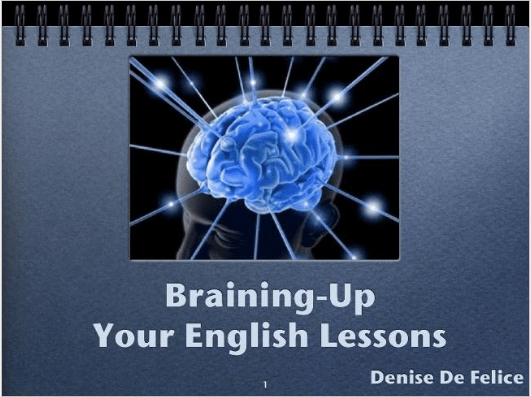 The purpose of this presentation is to share some information about how the brain works during the learning process and to provide participants with helpful tips for their teaching practice. Denise De Felice has been an EFL teacher in Brazil for over 25 years. Her field of study relates to bridging neuroscientific research and education. 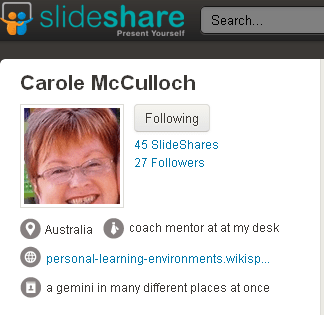 “Coach” Carole McCulloch will come online to chat about her latest projects. Vance has created a course for a unique cohort of young students at the Naval College in UAE. They all have laptops and their instructors at the college complain that their laptops are distracting in class, so the students’ attention and focus has to be earned and sustained in task-based activities. 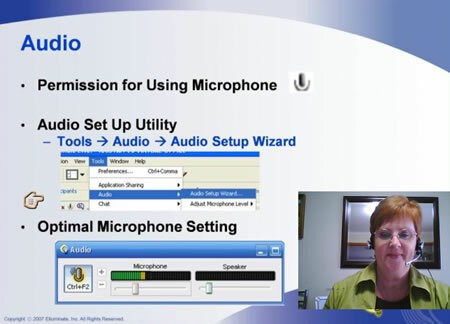 Therefore this course was designed to engage the students and leverage their ubiquitous access to computers into learning outcomes. Vance has assembled survey and student blog data to verify student interest in the materials; but rather thanpresent on the topic (there is a recorded version online already) Vance would like for this to be a flippedpresentation where I briefly overview it and discuss with those present how they engage their students and make learning F.U.N. The course would not have been possible without continuous access to and interaction with others in my CoP and extended PLN this past decade, which enabled me to experience engaged learning with peers in order to model it for my students.